Ander Herrera has agreed a pre-contract with Paris Saint-Germain. The midfielder looks all set to leave Manchester United on a free transfer at the end of the season, after the expiry of his current contract with the Old Trafford outfit. According to the Daily Record, Herrera has been left unimpressed with the new long-term deal tabled by the Red Devils, and has instead decided to take up the lucrative offer from PSG. The 29-year-old seems to have already penned down a pre-contract with the French capital club, and will make the free switch to Paris come summer. PSG have been eager to bring in midfield reinforcements for manager Thomas Tuchel, which has seen them pursue several targets, including the likes of Barcelona-bound Frenkie de Jong. Further, they also intend to find a replacement for Adrien Rabiot, as the Frenchman is also set to depart on a free transfer after refusing to extend his stay at Parc des Princes. 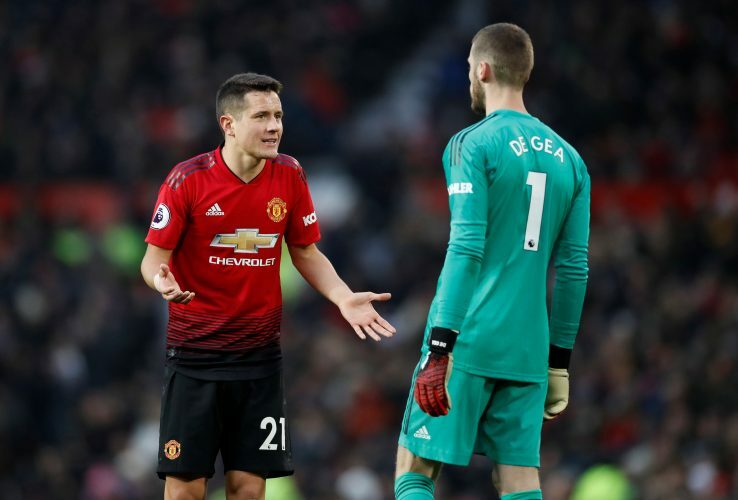 Meanwhile, Herrera’s departure will come as a huge blow for the newly-appointed permanent Manchester United boss, Ole Gunnar Solskjaer, considering the vital role the Spaniard has played in the 46-year-old’s lineups so far.